Outrageous will be the first single outtake from the new album �Surprise�. A short review from Billboard. Six years after his last album, �You�re the One,� and 20 years after his masterpiece �Graceland,� Paul Simon returns with the bouncy lead from his upcoming new studio release, �Surprise.� Kicking off full force with a spunky funk groove and breathless vocals, �Outrageous� is a funny tale about a vain, middle-aged man who �does 990 sit-ups a day� and paints his hair �the color of mud.� The song�s biting hook (�Who�s gonna love you when your looks are gone?�) has a sweet melody, echoed by crushing guitar chords and an unexpected, soul-wrapping bridge. �Outrageous� is not a radio smash, but it is original, showcasing a unique voice that still radiates with pureness and clarity. Even so, we expected more experimental soundscapes from Simon�s collaboration with avant-gardist Brian Eno (U2, Talking Heads). Ladysmith Black Mambazo say they would love to work with Paul Simon again, 20 years after he worked with them on Graceland. Lead singer and founder Joseph Shabalala said the band have been wanting to see him again but they have never managed to get round to it until now. He said: �Let me tell you something about Paul Simon, that man has a beautiful dream to come to South Africa and open a school for us. �He is a wonderful man and since he worked with us all those years ago we have had many changes in South Africa. There�s an excellent interview with Paul in the latest issue of Word magazine. He talks about how his relationship with Garfunkel has been healed, the spiritual awakening he experienced in the late 90s, his time in England in the mid-60s and his enduring friendship with Kathy who, apparently, was present at the 2004 Hyde Park Concert. Good to know that he seems so content with life at last. The announcement from Ellens site. Ellen celebrates her 500th episode with an exclusive interview with former Presidents BILL CLINTON and GEORGE HW BUSH. This special show includes Ellen�s favorite moments from her first 499 shows. Joining Ellen for the celebration is Academy Award winning actress DIANE KEATON. Making his first appearance on the show, the legendary PAUL SIMON performs �Surprise� as well as a classic song. Plus, Ellen�s favorite actress, SHERRI SHEPHERD. A short summary of the last week, where did Paul appear. Friday morning (May 12) Paul appeared at the Good Morning America show, he gave a short interview and played several songs on that show for the audience (Mrs. Robinson, Me and Julio), but only 2 songs have been aired at full length - Outrageous and Graceland. Next day on May 13 Paul was guest at the Satuday Night Live show. He played a great version of �How Can You Live In The Northeast?� and again �Outrageous�. Co-guest on the show was also the former vice precident Al Gore, a good friend of Paul. On this site you will find 4 different parts of an interview Paul gave a few days before to Bill Flanagan. This week�s Radio Times is trailing an interview with Paul, that will, presumably, appear in the issue dated June 3 - June 9. Can we assume the concert that is being recorded for Radio 2 this week will be aired during that week? Is this why the UK has had to wait up to a month longer than everybody else for the new album�s release? This show was recorded before, cause Paul is playing today at the BBC studios in London. Ellen continues to bring awareness to New Orleans by sharing stories and moments from her recent visit to her hometown. Ellen is joined by �American Idol�s� RANDY JACKSON, music legend PAUL SIMON and former Presidents GEORGE H. W. BUSH and BILL CLINTON. Join Ellen for an emotional tribute to New Orleans. Created to raise funds for the fight against HIV/AIDS in Southern Africa, Songs for Life is an album of songs with uplifting messages performed by prominent recording artists who have dedicated their time and talents to this effort. Some of the participating artists have recorded new tracks inspired by the fight against HIV/AIDS in Africa while others have chosen previously recorded tracks that fit within the theme of unity, hope and brotherhood. 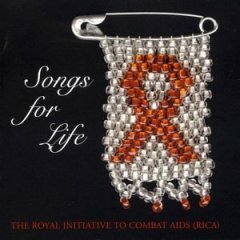 Proceeds from the sale of the CD go to the Royal Initiative to Combat AIDS (RICA), a non-profit organization dedicated to fighting HIV/AIDS in Southern Africa, where thousands of people are dying of the disease every day. 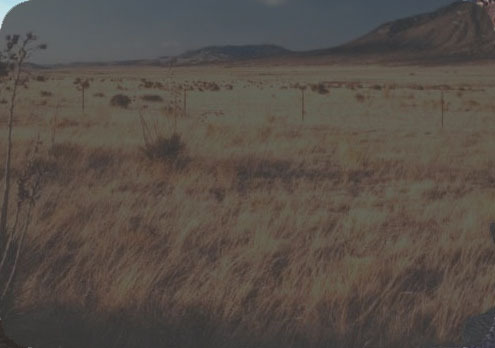 With songs both new and old from some of the world�s best-known recording artists, Songs for Life promises to be an amazing listening experience created to bring attention � and critical funding � to a life-and-death cause in Africa. Distributed by EMI-Capitol Records, coordinated by The Marshall Firm and promoted internationally by JAM Entertainment and Music Group, Songs for Life was produced under the guidance of the legendary Phil Ramone, who over the last three decades has produced some of the world�s most successful recording artists, including Chicago, Aretha Franklin, Billy Joel, Elton John, Liza Minelli, Paul Simon, Ringo Starr, Barbra Streisand and U2, to name just a few. This Album was released Oct. 7, 2003. He will be at the show with some of the biggest music titanes of the last 30 years - David Gilmour and Elvis Costello. So turn on your recording equipment. An exclusive live concert for Radio 2 performed at an intimate London venue. Father & daughter single - Europe release only. 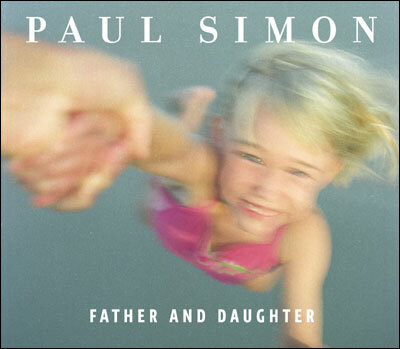 �Father And Daughter� is the first single to be taken from Paul Simon�s his eagerly anticipated new album �Surprise� that was co-produced by Brian Eno. Already familiar to fans, having won an Oscar nomination following its prior inclusion on �The Wild Thornberrys Movie� soundtrack, �Father And Daughter� is a delicately emotional ballad written in Paul Simon�s inimitable style and closes �Surprise� in remarkable fashion. Paul Simon�s new offering �Surprise� will be Album of the Week on Radio 2 this week and a different song from the album will be played each day on the Ken Bruce show 9:30 - 12:00 and the Janice Long show 00:00 - 03:00 Monday - Friday.